Southern Living Showcase Custom Designed Home on a private lot with Spectacular Views. 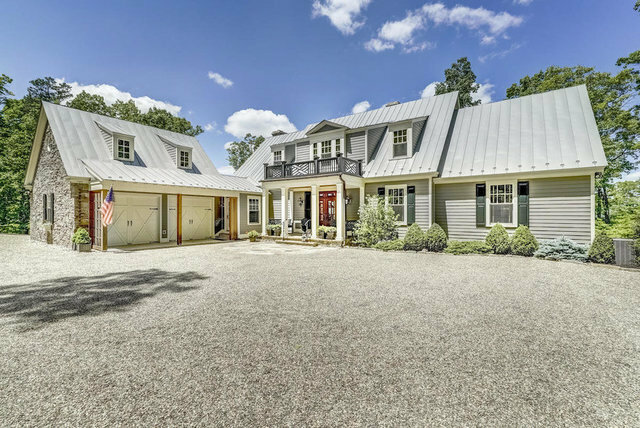 Incredible attention to detail, Gourmet Kitchen, Over-sized Screened Porch, Large First Floor Master, 4 Fireplaces, 12' Ceilings, Wet Bar, Over-sized Garage, Tons of Storage and much more. An Amazing Retreat that features lots of privacty for you and your guests. Quick access to Homestead Hotel, Golf, Hiking Trails, Skiing and more. A WOW House you must see to believe.